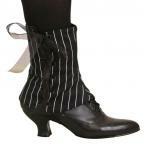 Shoes before corset is any lady's golden rule. 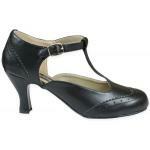 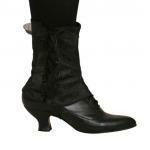 As such, just as much thought and care should go into selecting the footwear to accompany the event and outfit. 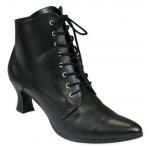 Whether a short ankle boot that has many spats and gaiters to match anything one could imagine, to lace embellished boots. 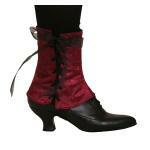 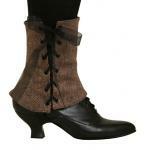 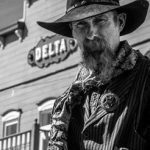 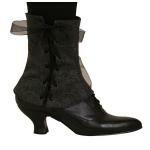 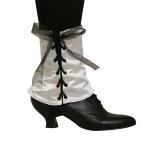 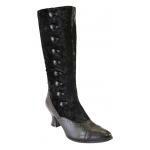 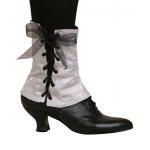 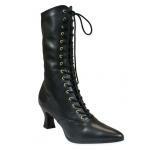 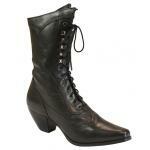 We offer a selection from Victorian & Old West Granny Boots, to fantasy styles suitable for pirates & steampunk adventurers.